Wat is dit voor site? Wij zoeken de goedkoopste boeken op internet. Defining Deutschtumvonden we het goedkoopst op Bol.com voor €45.99. We hebben gezocht in nieuwe en tweedehands boeken. Rechtsonderaan de pagina kan je het boek direct bestellen	via Bol	.com. Defining Deutschtum: Political Ideology, German Identity, and Music-Critical Discourse in Liberal Vienna offers a nuanced look at the intersection of music, cultural identity, and political ideology in late-nineteenth-century Vienna. 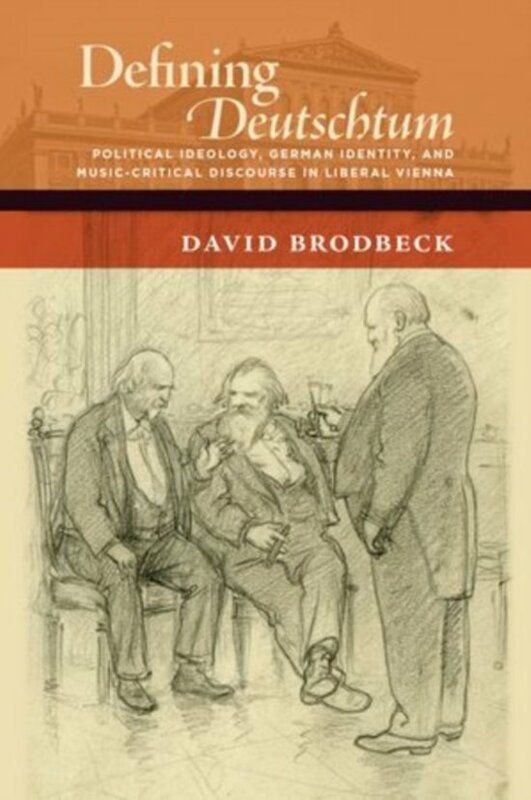 Drawing on an extensive selection of writings in the city's political press, correspondence, archival documents, and a large body of recent scholarship in late Habsburg cultural and political history, author David Brodbeck argues that Vienna's music critics were important agents in the public sphere whose writings gave voice to distinct, sometimes competing ideological positions. These conflicting positions are exemplified especially well in their critical writings about the music of three notable composers of the day who were Austrian citizens but not ethnic Germans: Carl Goldmark, a Jew from German West Hungary, and the Czechs Bed?ich Smetana and Antonin Dvo?ak. Often at stake in the critical discourse was the question of who and what could be deemed German in the multinational Austrian state. For critics such as Eduard Hanslick and Ludwig Speidel, traditional German liberals who came of age in the years around 1848, Germanness was an attribute that could be earned by any ambitious bourgeois-including Jews and those of non-German nationality-by embracing German cultural values. The more nationally inflected liberalism evident in the writings of Theodor Helm, with its particularist rhetoric of German national property in a time of Czech gains at German expense, was typical of those in the next generation, educated during the 1860s. The radical student politics of the 1880s, with its embrace of racialist antisemitism and irredentist German nationalism, just as surely shaped the discourse of certain young Wagnerian critics who emerged at the end of the century. This body of music-critical writing reveals a continuum of exclusivity, from a conception of Germanness rooted in social class and cultural elitism to one based in blood. Brodbeck neatly counters decades of musicological scholarship and offers a unique insight into the diverse ways in which educated German Austrians conceived of Germanness in music and understood their relationship to their non-German fellow citizens. Defining Deutschtum is sure to be an essential text for scholars of music history, cultural studies, and late 19th century Central European culture and society.